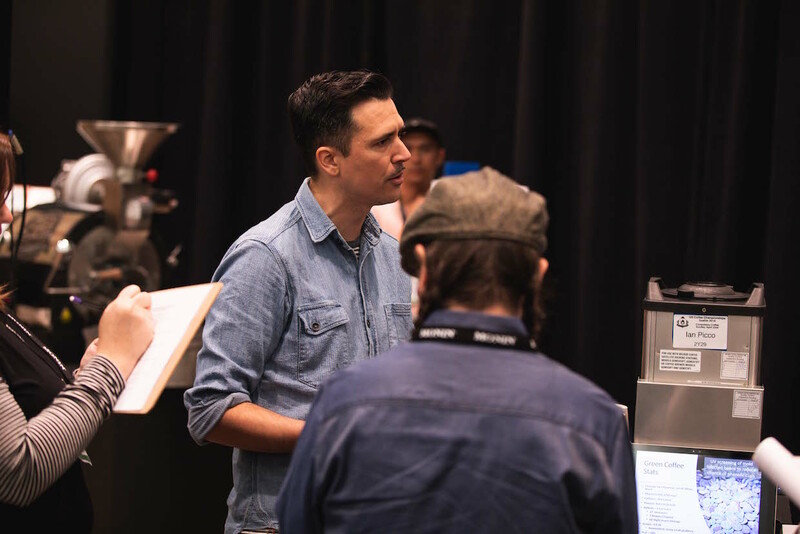 Ian Picco won the 2018 U.S. Roaster Championship in Seattle. Photo courtesy of SCA. 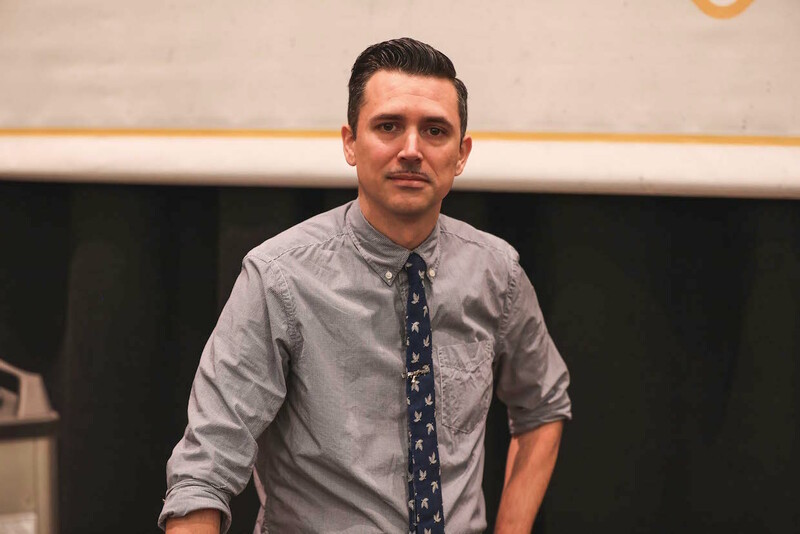 Ian Picco is the Director of Coffee at Topeca Coffee Roasters in Tulsa, Oklahoma, as well as an Authorized SCA Trainer (AST) and longtime volunteer instructor for the Specialty Coffee Association‘s educational programs. 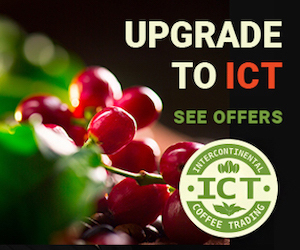 Picco also instructs with SCA curriculum at Topeca Instruments Division, an SCA Premier Training Campus dedicated to coffee education. 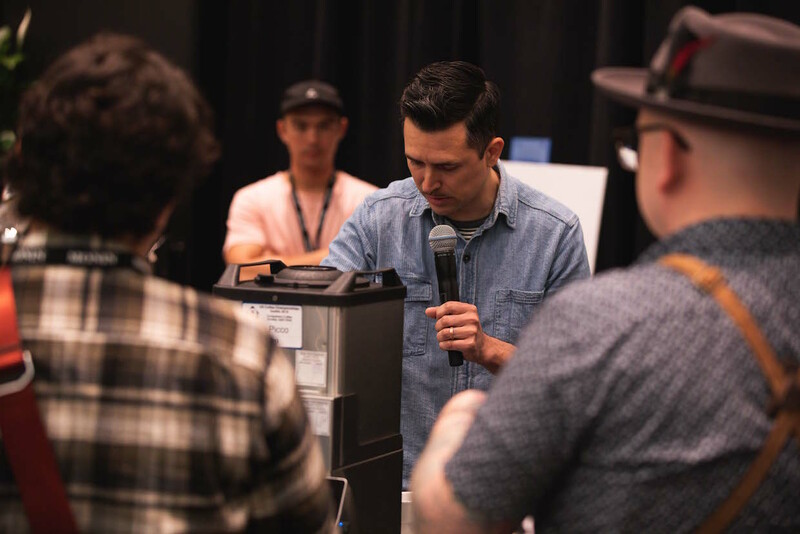 Given this depth and breadth of experience, it was not surprising to see Picco come out on top at the recent 2018 U.S. Roaster Championship, held last month in Seattle. 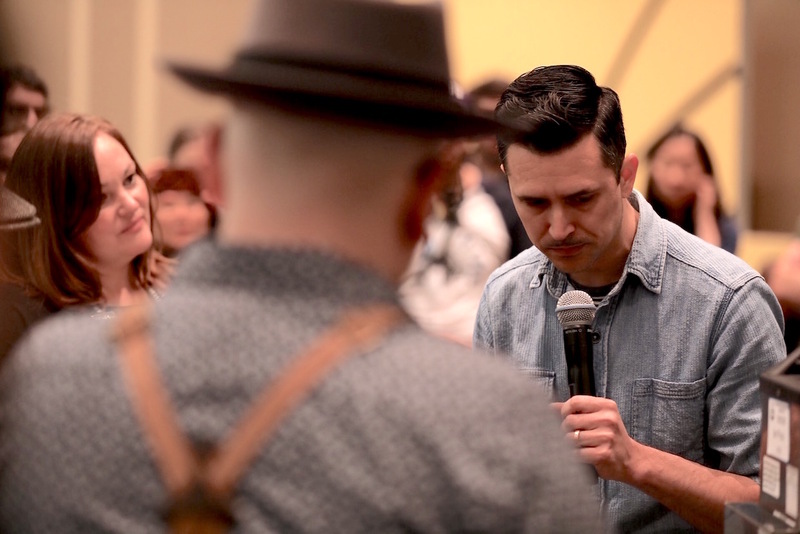 As a first-time competitor in the Roaster Competition last year, Picco entered the qualifying event held in Austin, Texas, just to see what it was all about. The U.S. Roaster Championship consists of two rounds. First, competitors present a coffee of their choice, roasted prior to the event, for presentation and evaluation by the judges. For round two, competitors roast a compulsory coffee on-site — this year a Brazil Fazenda Tres Porteiras from Ally Coffee — and delivered a presentation of that roast to the judges. For the presentation element of the competition, the coffee was ground using a Mahlkonig EK43, then brewed on a Curtis G4 GEMINI for judging, as well as for the audience to try, although the actual coffee score was based on a more formal cupping evaluation by the judges. We asked Picco more about his motivation for competing and where he sees his career in coffee heading. Lily Kubota: What was the key message you were hoping to communicate to the judges and the audience through your presentation? 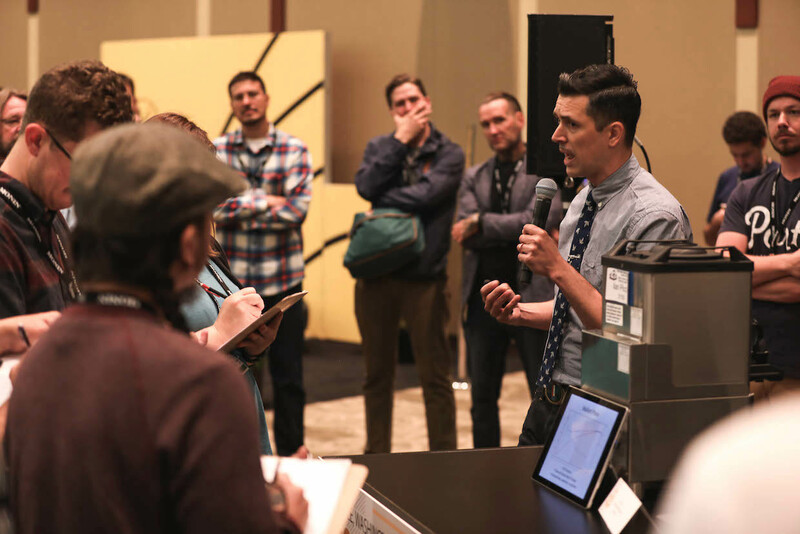 Ian Picco: I wanted to present the judges with straightforward scientific approach to roasting coffee. I also wanted to present myself and my coffee with a sense of true transparency, realism, and integrity. I hope that came through. 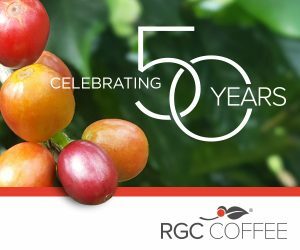 LK: What was the specific coffee you used for your routine? 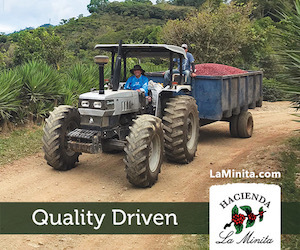 IP: I used an SL-34 variety grown on our family farm, Finca el Manzano, in El Salvador. It was honey process, dried on raised beds. LK: Were there any characteristics that you were looking to highlight in terms of the bean and the roast? IP: The SL-34 is an extremely complex coffee with tons of aromatics, big body, and a lot of sweetness. I developed a roast profile that played to the bean’s high density by allowing a longer time in the drying phase, and a good amount of time during Maillard phase to highlight sweetness, body, and aromatic complexity. Since it was a honey process, and therefore had already undergone natural carbohydrate degradation, I kept the time from first crack short and gentle, so I wouldn’t loose any of the sugars and acids. LK: What kind of machine did you use to roast your selected coffee? IP: I roasted this coffee on a North 500 gram electric drum roaster from Mill City Roasters. LK: Now that you’ve won and will go on to represent the U.S., how do you plan to prepare or practice for the world championship? IP: Tom Cruise, Cocktail style… But seriously, I plan to spend a lot of time in the lab roasting many different origins of coffees many different ways, do a lot of cupping, and build a library of origin and density specific roast profiles, so I can handle whatever they throw at me. I have friends who have competed in the WCRC in the past, so I will undoubtedly be leaning on them heavily for advice. LK: Did you receive any feedback that you’ll incorporate into your presentation of the coffee? IP: It seems I provided too many flavor descriptors. I was gauging this off of seeing how Brewers Cup is judged. So, for this aspect of the competition I’m going to keep it short and sweet. LK: What are your aspirations for your career in coffee? IP: That’s a big question. I just want to do something honest. 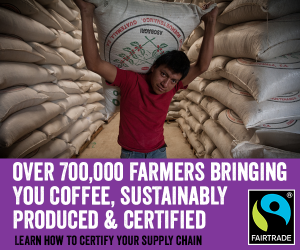 If I can do that, and know that I am supporting a sustainable supply chain I’m happy. At some point I’d like to be able to fully support my family financially too. Ha, yeah, that would be good. 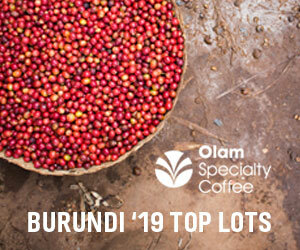 LK: As an ambassador for specialty coffee, what message would you like to send to competition hopefuls or coffee professionals trying to pave their own path? IP: My big thing this competition was presenting myself and my coffee with full integrity, whether I won or not. I stuck to my guns when it came to choosing an approach to the compulsory roast, even though at times I doubted myself. I deliberately choose not to compete with a Geisha, because I am so tired of nearly every competition in the industry becoming a Geisha contest. That’s not sustainability. I would implore future competitors, and judges, to broaden their view of what is award worthy coffee. Overall, I would say create your own thing, stop following every fad, and let good coffee speak for itself; don’t get in the way. And most importantly, let your customers tell you what they like, not the other way around. It would be awesome to see his roast profile graph!